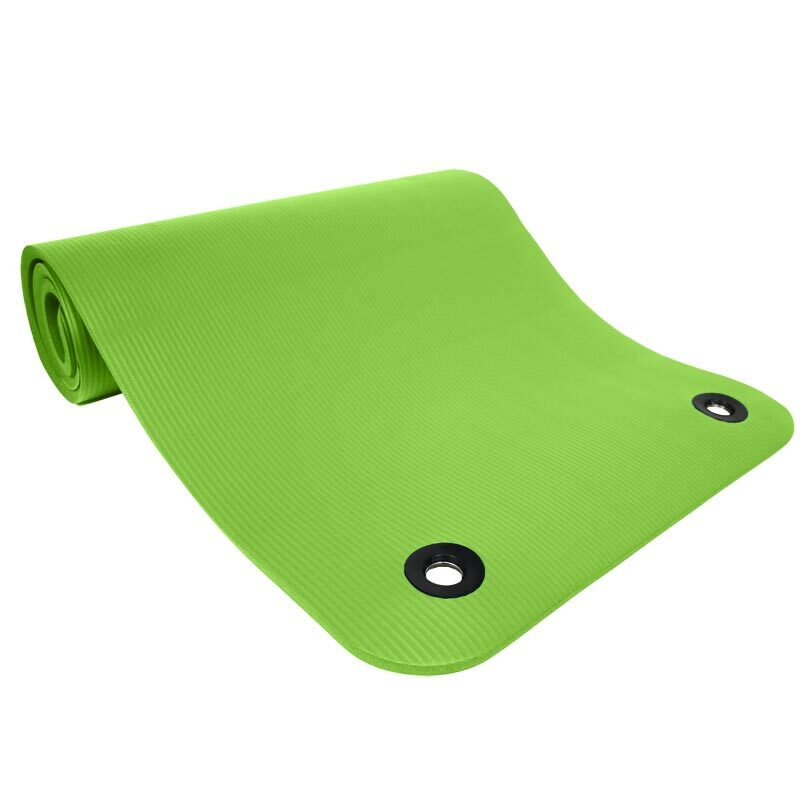 The Beemat ® Premium Thick Exercise Mat with Eyelets Lime is great for floor exercises such as pilates, yoga, fitness classes and physiotherapy work. 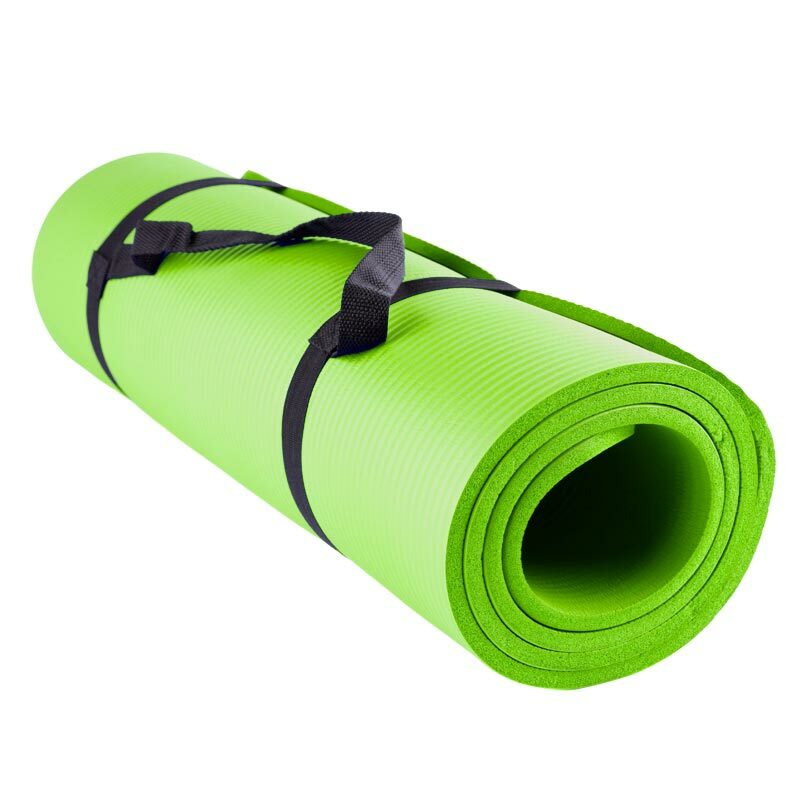 Thickness of 1.5cm (0.6") adds shock absorption for stability when landing, comes with straps for easy transport. 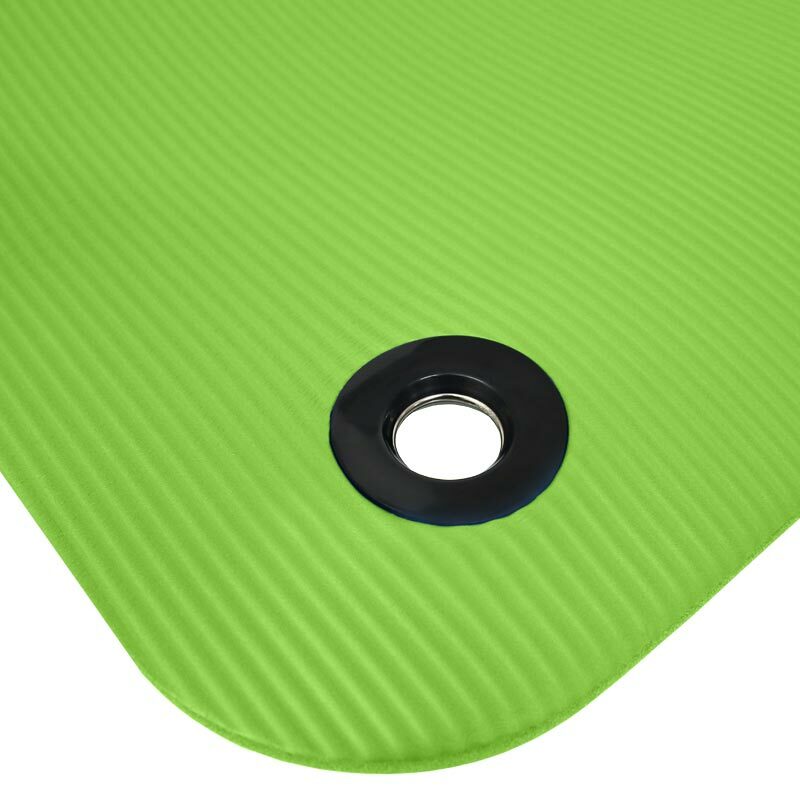 Non slip surface on the bottom of the mat. 1.4m x 0.56m x 15mm - 4'7" x 1'10" x 1", 1.15kg.